Elevated levels of lead were found in some faucets are two schools in Toms River, the district said in letters to parents this week. Lead testing began this summer in all of the Toms River Regional district schools following an order signed by Gov. Chris Christie in the wake of the Flint, Mich. water crisis. This week, parents at Washington Elementary School and West Dover Elementary School received letters detailing elevated levels of lead in some – but not all – water sources. The districts defines an elevated lead level as more than 15 parts per billion. 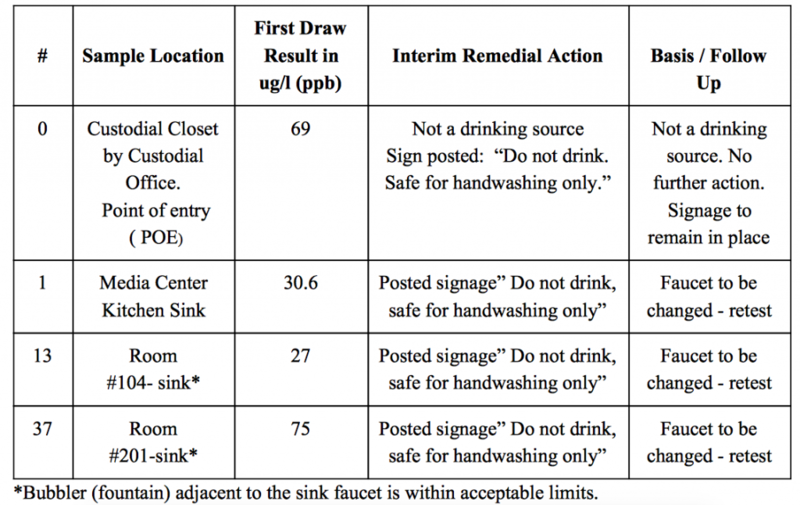 At Washington, seven water sources were found to have elevated levels, including the nurse’s office and several classrooms noted in a table the district published (found below). 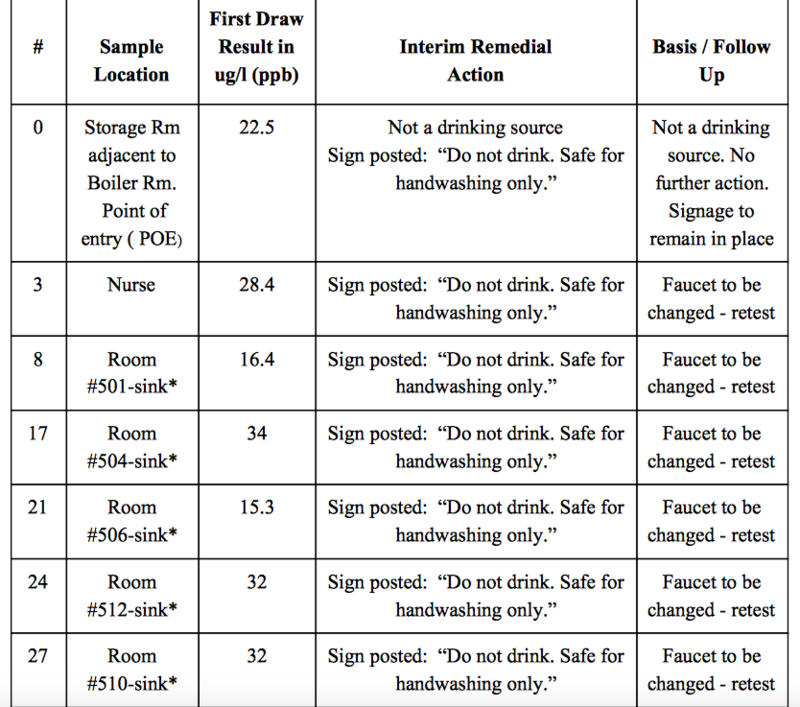 The highest levels of lead, 32 parts per billion, were found in the sink in rooms 510 and 512. In both rooms, the faucets at the sinks will be changed and the water will be retested. At West Dover, four sites were found to have elevated lead levels. The second-highest, 69 parts per billions, was found at a non-drinking source in a custodial closet. The others were in the media room sink and two classrooms, one of which had a level of 75 parts per billion. The district said remediation would begin immediately. Actions would include turning off the outlet unless it is determined the location may remain on for non-drinking purposes. “Accordingly, any drinking sources found to contain action levels will be immediately taken out of service,” the letter to parents said. 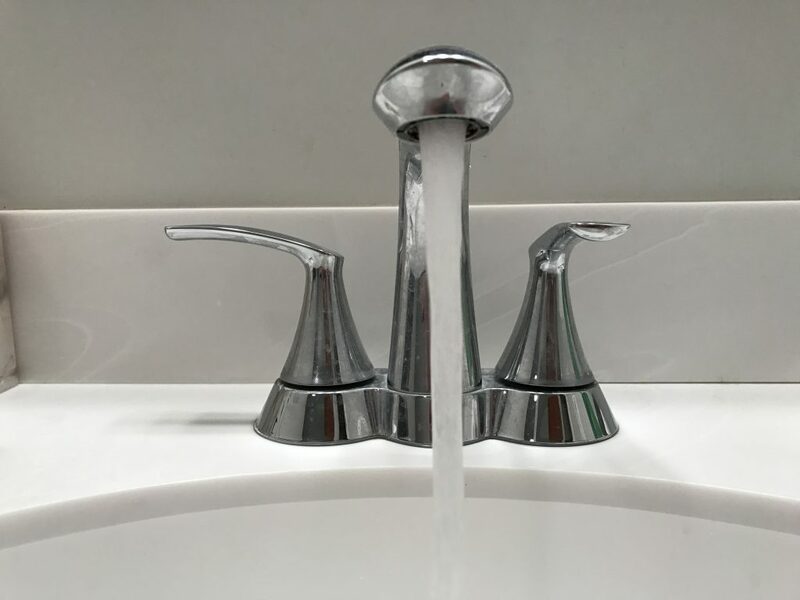 Lead enters drinking water primarily as a result of the corrosion, or wearing away of materials containing lead in the water distribution system and in building plumbing, according to the district. “These materials include lead-based solder used to join copper pipe, brass and chrome-plated brass faucets,” especially in buildings constructed before 1986.